Like many travelers, we’ve had our encounters with pickpockets over the years—like the oh-so-gallant guy in Lisbon who helped us onto the subway, and then promptly jumped off with our wallet. Thankfully these days, there’s a new solution to keeping your items safe on the road: the anti-theft backpack. 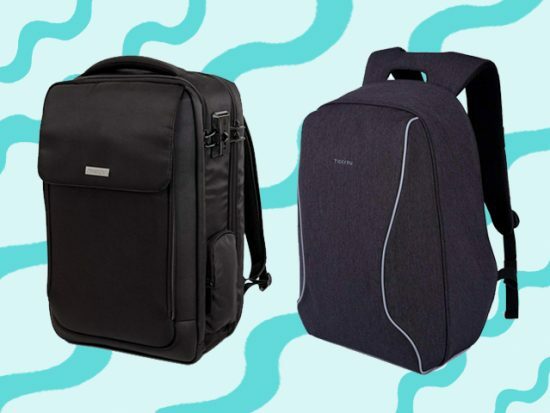 These are regular backpacks that are decked out with all kinds of cool protective features—slash-proof fabric, secret compartments—that would make any pickpocket break a sweat. And they can look pretty sleek to boot. 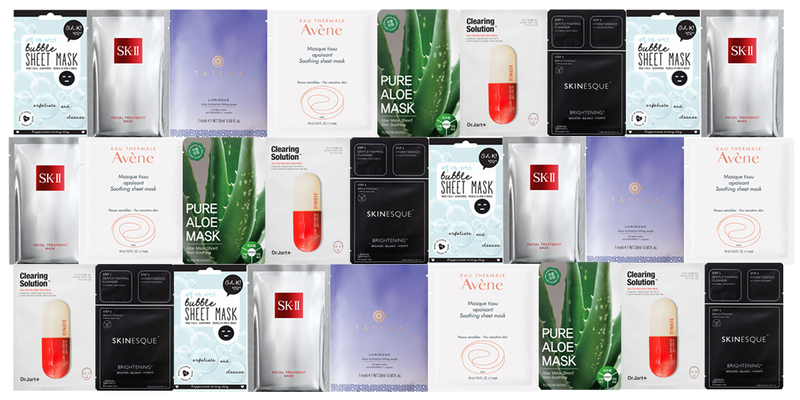 If you want a pack that offers maximum safety and peace of mind, check out our top picks below. As the name implies, these backpacks are intended to protect your precious stuff from petty criminals. Even the best of them can’t, of course, be 100 percent “theft-proof.” Put yours down in a crowded café or at a chaotic ticket kiosk and some opportunist with sticky fingers and fast feet can still dash off with the whole thing. (There are models that lock to stationary objects, for extra security.) That said, anti-theft backpacks do offer up loads of special features not found in run-of-the-mill packs. Slice-resistant straps, high-tech nylon, hard-core locks, or secret compartments can make it much harder for pilferers to get into them…and that’s a huge selling point since thieves are looking for a quick and easy target and tend to be deterred by small obstacles. What Features Should You Look for in an Anti-Theft Backpack? For starters, the pack should be made of durable—ideally slash-proof—materials: that means a body constructed from strong fabric (like ripstop nylon, ideally embedded with steel mesh) that can’t be easily ripped or cut, plus straps with thick reinforced webbing that also can’t be cut. Lockable, puncture-resistant zippers are another popular feature. Ditto for discreet pockets that are difficult to identify from the outside. The jury is still out on the need for RFID blockers to prevent hackers from stealing credit card details and other personal info (some experts see radio frequency identification crime as little more than an urban myth); nevertheless, it’s available if you want to be extra careful. 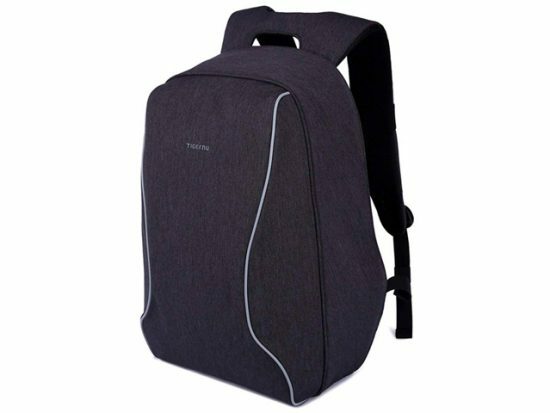 What are the Pros and Cons of an Anti-Theft Backpack? Knowing your backpack is safe—especially when it contains pricey, even irreplaceable, items like laptops—gives you the peace of mind needed to relax and genuinely enjoy your trip. Since they’re well-made and lockable, the best anti-theft packs are both secure and sturdy enough to serve as checked luggage, but they’re small enough to double as convenient carry-ons. Packs typically come with slim padded sleeves to protect your tech, as well as larger compartments for other essentials. Extra bells and whistles—including anything from LED lights to integrated USB charging ports that let you connect your phone to a power bank inside—add another layer of convenience. Specialized features up the price—and this isn’t the time to cheap out. Anti-theft gizmos won’t help if you opt for a poorly constructed budget bag with seams that start fraying on week one. All the little locks, hidden zippers, and concealed pockets designed to thwart thieves can also make it harder for you to access contents, too. Since anti-theft packs aren’t created equal, you’ll have to do some research and decide what specific features you want most—perhaps a rain cover or e-reader pocket—based on your travel style. Fashionistas beware: Many anti-theft backpacks (though not our picks!) intentionally look bland so that the owner blends in better and doesn’t attract the attention of pickpockets. 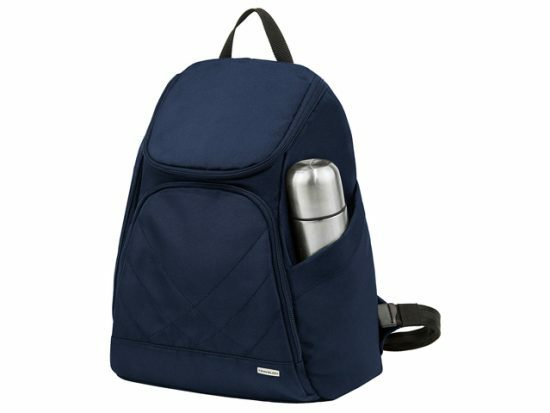 What Are Some Alternatives to Anti-Theft Backpacks? Not in the market for a full-blown backpack but still like the idea of added protection? 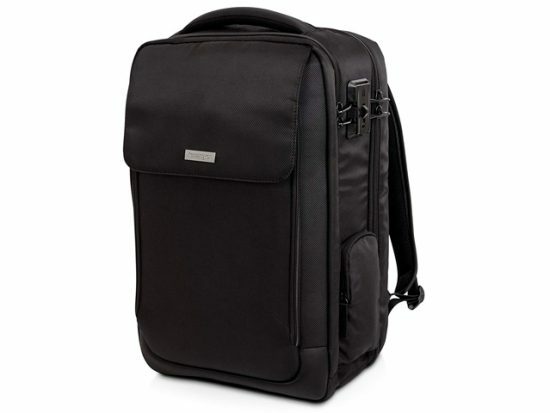 Cross-body bags, sling bags, shoulder bags, fanny packs, and business-friendly briefcases—all equipped with anti-theft elements—are produced by industry leaders like Travelon and Pacsafe; the latter also sells camera bags in assorted sizes to accommodate the needs of avid photographers. Conversely, if you’ve already got a solidly built backpack that you can’t bear to part with (we get sentimental, too! ), you can choose from a variety of TSA-approved locks and cables or step things up a notch by purchasing an eXomesh protector, which wraps your pack with impenetrable netting. The common-sense tips you’d follow with any backpack apply to anti-theft backpacks. Carry it strapped behind you, not casually slung over your shoulder. (Some think it’s safer to wear theirs in front—but that method screams “tourist” and makes you an obvious target.) In crowded eateries, markets, and stations where artful dodgers lurk, keep a hand on your pack or secure it to an immovable object; on streets, walk on the inside so it can’t be grabbed by someone zipping by on a bike or scooter. Above all, ensure you stash copies of key items (think passports and such) elsewhere just in case worst comes to worst. Travelon, arguably the granddaddy of anti-theft gear, has a large product lineup—from expandable packing cubes to tiny cross-body bags—and their Anti-Theft Classic Backpack is one of its bestsellers. This small-but-mighty model weighs just over a pound yet doesn’t scrimp on security features. It boasts slash-resistant shoulder straps and body panels, lockable zippers, RFID-blocking slots, and pockets reinforced with flexible stainless-steel mesh. Available in two chic (and non-black) neutral shades, the compact Classic is a perfect city daypack. Slightly padded throughout, it’s comfy enough to wear on endless rounds of sightseeing, plus it has a zippered side pocket that lets you quickly grab your phone whenever an Insta opportunity arises. Pacsafe has been beloved brand for two decades, and for good reason: its Metrosafe LS450 ranks among the best all-around anti-theft options out there. But since this company is also known for being more action-oriented, the Venturesafe X30 deserves a shout-out as well. 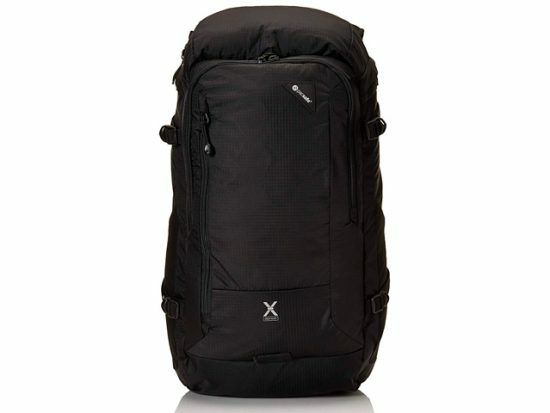 Ideal for hikers, the slash-proof 30-liter option combines ample anti-theft features—think security hooks, dual-release buckles, lockable zippers, RFID blocking, the works—with the comfort perks that outdoor enthusiasts demand (including breathable straps, a hip belt, and a back panel with aluminum support for easy carrying). A built-in rain cover also ensures this pack has your back (quite literally) no matter what weather you encounter. 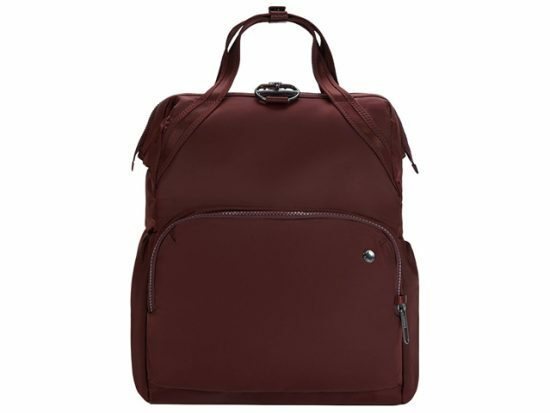 Kopack’s version of the anti-theft backpack is great for travelers who are both safety and budget conscious. 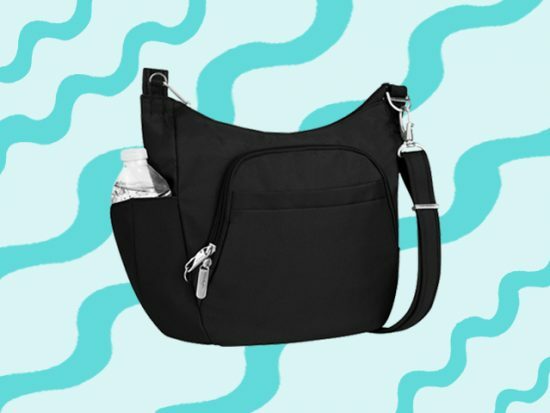 Though this affordable bag isn’t made of anti-slash fabric, it manages to deter pickpockets by hiding their primary target—the pockets themselves. Virtually invisible, the zipper for the main compartment is cleverly located at the back. Once opened by the rightful owner, though, it can unzip up to 180 degrees for easy airport security checks, and offers enough organizational options to satisfy Marie Kondo: picture dedicated sleeves for electronic devices, plus assorted pockets for miscellaneous items. Also taking comfort into account, the ergonomically-designed pack has thick, adjustable straps and a padded back panel. 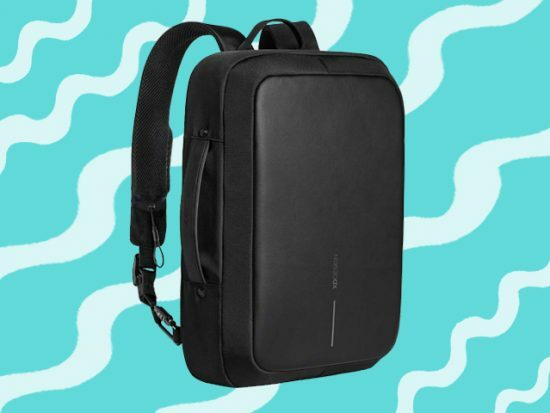 Produced by a leading tech-accessory company, this lockable bag is basically the Trojan Horse of backpacks: inconspicuous on the outside but hiding an army of helpful add-ons. Some of those features (like lockable anti-puncture zippers) are aimed at security; others (including two roomy interior compartments) up the convenience quotient. Despite the name, many users find the SecureTrek 17” spacious enough for a weekend’s worth of essentials; frequent flyers particularly appreciate that the TSA-friendly pack is carry-on size and easily fits through airport security scanners. An exterior flap pocket offering space for need-to-access-now items is another bonus. The downside? Though sturdy, this model doesn’t qualify as slash-proof. XD Design—a design-savvy Dutch company—launched Bobby backpacks on Kickstarter in 2016. Since then, the original version has earned a global following, but newer launches, like the petite Bobby Elles, are equally appealing. 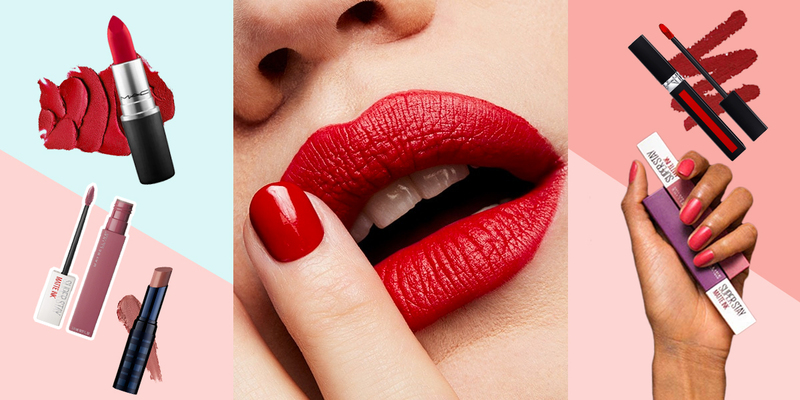 Take the sleek Bobby Bizz. Intended for travelers mixing business with pleasure, this structured backpack/briefcase hybrid offers a minimalist look and maximum protection. Hidden pockets and an integrated lock, for instance, are standard. 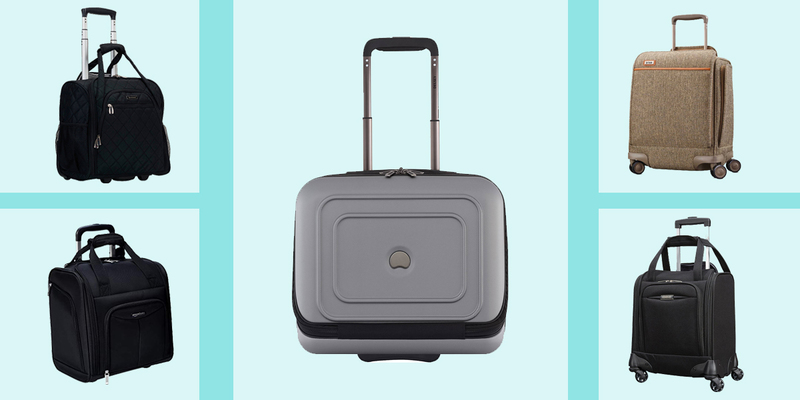 Aside from ticking anti-theft boxes, however, Bobby Bizz has features that ensure your load is as comfortable as it is secure on long-haul travel days—like a luggage-attachment strap, multiple opening options, and even a USB charging port. 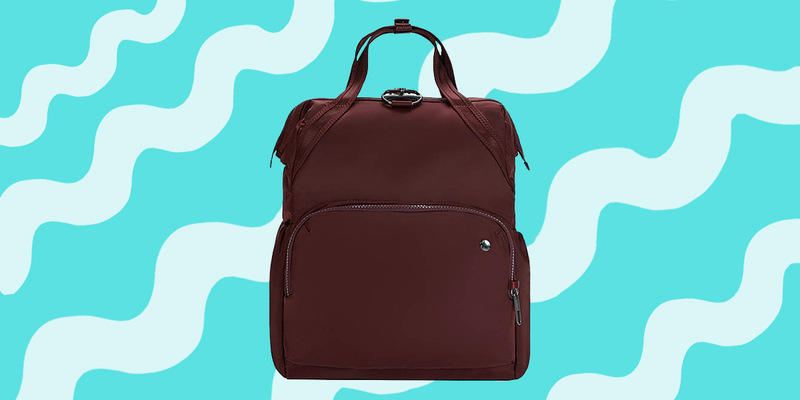 Proving good things come in small packages, this well-organized backpack from Pacsafe’s Citysafe line is under 15 inches high but loaded with features—and surprisingly attractive. 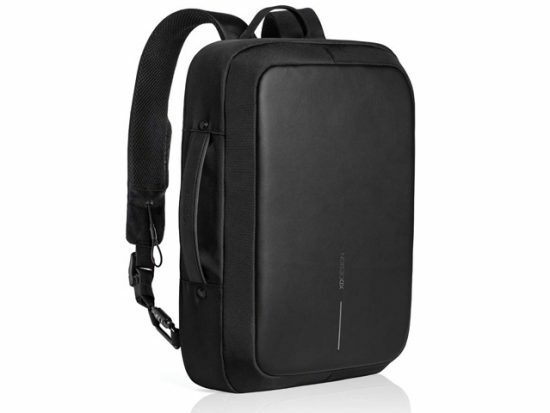 The bag incorporates the brand’s best anti-theft features (slash-proof construction, interlocking zippers, and RFID blockers among them) and is versatile as a backpack or handbag. 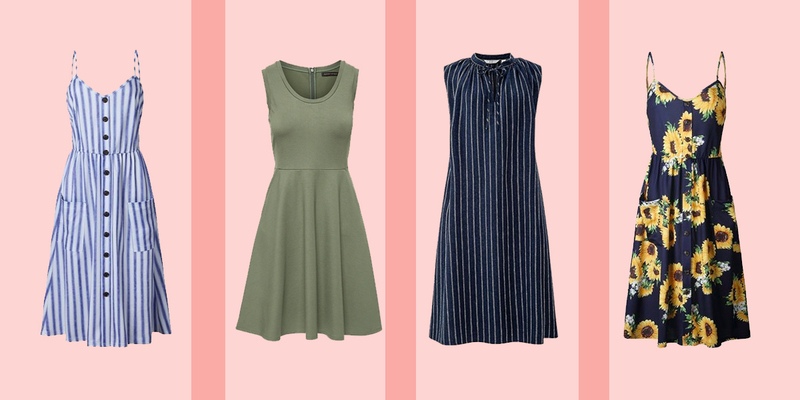 Moreover, it comes in a trio of shades that are pretty yet practical.